Dr Elizabeth Reid Boyd is an academic in the School of Arts and Humanities at Edith Cowan University. On the topics of gender, culture, romance and etymology, Elizabeth has published widely and as a media commentator. She writes fiction as Eliza Redgold, based upon the Gaelic meaning of her name. Eliza Redgold’s 'Naked: A Novel of Lady Godiva' was published by St Martin’s Press, New York and is currently in script development as feature film GODIVA. 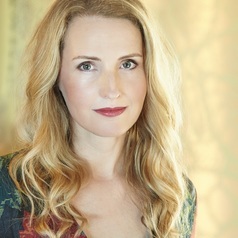 She also writes romances for Harlequin (Harper Collins). Her latest historical romance 'The Scandalous Suffragette' will be released for International Women's Day in 2019.